Today matches on Court one are Varvara Lepchenko (USA) v (4) Petra Kvitova (Cze), (19) Kei Nishikori (Jpn) v (9) Juan Martin Del Potro (Arg), (5) Jo-Wilfried Tsonga (Fra) v Lukas Lacko (Svk), and over on Court number 2 14) Ana Ivanovic (Ser) v (22) Julia Goerges (Ger), Jana Cepelova (Svk) v (2) Victoria Azarenka (Blr), (16) Marin Cilic (Cro) v Sam Querrey (USA), (4) Maria Kirilenko (Rus) & Nadia Petrova (Rus) v Serena Williams (USA) & Venus Williams (USA) are all playing today. Elsewhere Defending Wimbledon champion Novak Djokovic avoided another Czech Republic Centre Court ambush when he reached the last 16 with a 4-6, 6-2, 6-2, 6-2 win over veteran Radek Stepanek on Friday. Meanwhile Six-time Wimbledon champion Roger Federer overcame a huge scare and battled back from two sets down to defeat Frenchman Julien Benneteau, the world No 32, and seal his place in fourth round. On Thursday 28th June I was awoken by really incredible thunder & lightning, torrential rain and Fierce storms , It was an amazing spectacle to watch and to think of the amount of power unleashed by all those lightning strikes and all that water falling in such a short space of time, the lanes round here quickly became like fast-flowing rivers and the sky went unusually dark the amount of hail was also incredible and it was so humid and oppresive the night before, actually now I come think of it,it feels like that now and there are some rather menacing clouds in the sky. The Conditions, which brought roads and rail lines to a standstill in many part of Britain, ware blamed on a weather phenomenon called the Spanish plume which is a rather complex meteorological phenomenon which leads to warm conditions and heavy showers or thunderstorms over parts of the UK and north-west Europe. As the name suggests it is a plume of very warm air that pushes north from the Spanish plateau and reaches the British Isles on a southerly airflow. Of course over the UK we are normally affected by much cooler Atlantic air as cold fronts encroach from the west. Now when these two air masses meet, the very warm plume air is forced to rise vigorously over the cooler Atlantic air and as a result produces thunderstorms. Because these features can cover large areas the storms are often grouped together and can give widespread, heavy rainfall, often accompanied by hail. As of Friday 28th June two time Wimbledon champion Rafael Nadal, has been knocked out of Wimbledon in one of the biggest upsets in tennis history. The Spanish world number two was beaten by Czech Lukas Rosol 6-7 6-4 6-4 2-6 6-4, the world number 100, in a five set thriller that almost raised the roof on Centre Court. Andy Murray, who was seeded to play Nadal, must be hard pressed to believe what just happened. Upsets of this kind simply do not happen in modern tennis, not in the era when no player from outside the current top six reached a Grand Slam semi-final in 2011. James Ward has lost his second-round match 6-3, 5-7, 6-4, 6-7, 6-3 to American Mardy Fish who is ranked 161 places higher than the British No2 . Maria Sharapova has defeated giant-slayer Tsvetana Pironkova 7-6, 6-7, 6-0 and will meet Taiwan’s Hsieh Su-wei in third round. English musician and D.J.Clint Boon was brn 28th Junne 1959 , He originally rose to notability as the keyboards player (and sometimes vocalist) with alternative rock band Inspiral Carpets who were formed by Graham Lambert and Stephen Holt in 1983. The band is named after a clothing shop on their Oldham estate. Their sound is based around psychedelic keyboards and guitars. They came to prominence, alongside bands like The Stone Roses and Happy Mondays, in the ‘Madchester’ scene of the late 1980s. After a flexi-disc featuring Garage Full Of Flowers given free with Manchester’s Debris magazine in 1987, followed by the Cow cassette, their first release proper, the 1988 Planecrash EP on the Playtime label received much airplay from Radio 1 DJ John Peel, who asked the band to record a session for his show. At the time of their initial success, the band earned some notoriety for their squiggly-eyed cow T-shirts; ]They reworked their single “Find Out Why” as the theme tune to the 8:15 from Manchester. As their popularity grew, Playtime’s distributor Red Rhino Records went bust, leading the band to form their own label, Cow Records in March 1989, the labels’ first release being the Trainsurfing EP. After a handful of singles on their own label, the last of which, “Move”, came close to the UK top 40, they signed a deal with Mute Records, and immediately had their first top 40 chart success in the UK with “This Is How It Feels”, which is a song about unemployment and touches on themes of domestic violence. The single reached #14 in the singles chart, and debut album Life reached #2 in the album chart, both in 1990. 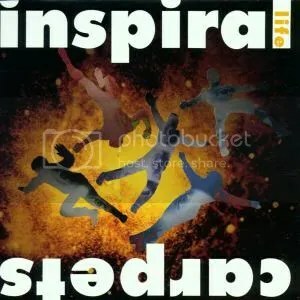 After the Inspiral Carpets split in 1995, Boon went on to form The Clint Boon Experience releasing two albums under this name – The Compact Guide to Pop Music and Space Travel (1999), and Life in Transition (2000). In this year the band released the single “Do What You Do (Earworm Song)”, which featured Fran Healy, the lead singer of the band Travis. Boon made a cameo appearance on the 2002 film, 24 Hour Party People as a train conductor, and has recently worked with Cosgrove Hall providing voice-overs and music for the Engie Benjy cartoon series. Boon has his own record label, ‘Booney Tunes’, signing artists such as Elaine Palmer, and has also been a regular DJ at a number of nightclubs around England, and in Wrexham, North Wales. He rejoined the Inspiral Carpets for two sell-out tours in 2002 and 2003. Boon is still a presenter on Xfm Manchester. He hosts the afternoon show from Monday to Friday between 2pm and 5pm, and often covers Xposure. In 2008 Boon had his portrait painted by Manchester based artist Adam Hayley. The portrait represents many aspects of Boon’s life and incorporates references to his Manchester roots. The portrait was unveiled at Manchester’s Mooch Art Gallery on Oldham Street, in the Northern Quarter.